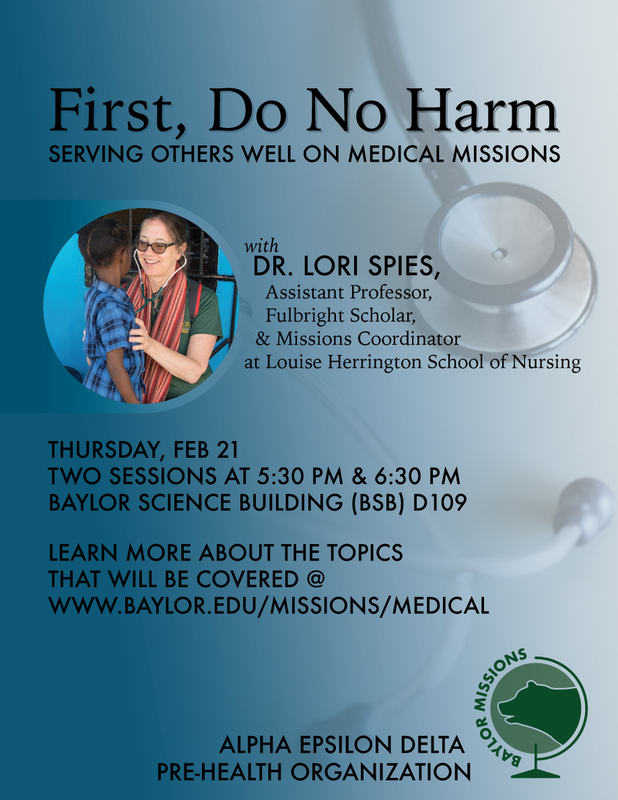 Who Should Come: Students currently signed up for Baylor Missions global health-focused teams OR any students considering future service on medical missions or going on mission trips with local church or missions sending organization. So, pretty much anyone interested in the topic! how to support local leadership/be culturally sensitive to differences in approaches and respect for their understanding of their patients.